There is always a trade off between how long it takes to ship equipment from overseas and how much time the vendor spends working on this (and all his other) problem. It also depends how WxC obtained the equipment. It it is through a local supplier, then we will have to wait. I am an electronic engineer and time and again get frustrated by local suppliers telling me an item will take 6 to 8 weeks from the AU factory, then I phone Farnell (those that know, they are usually very expensive but very fast) and they also have to get it from the same factory an apologize that it will take 7 to 10 days (and turns out to be cheaper than the local supplier!). I was fortunate in that I was affected only once, but I feel sorry for all the people plauged by this and I feel sorry for WxC staff who really can't do much about it. We have a workaround that delays us only 20 seconds waiting for the modem to reboot, so really can't be that bad. It's holidays, all vendors are closed so we will just have to wait. Im a little confused as to why this only started happening 2months ago if it has something to do with the hardware? would this not mean it was something xnet has changed on there end? here is an article from your leader about 2 months ago with an inference that more information would follow. Do you think this has been done? I'll continue to monitor this and if it seems to continue I'll get a few more stats together and log a fault. 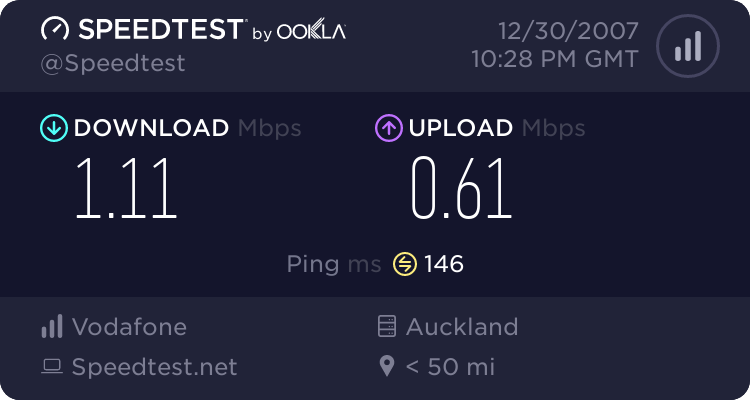 Hmmm, double strange; a reboot did fix it this time, but why was my speed to speedtest.xport.co.nz twice as fast as speedtest.net? In testing I have done all off-net sites show an upload speed 300k less . I would like to know if anyone without VFX has the same problem. Yes you are correct that off net tests are not as accurate, and this is taken into account here. 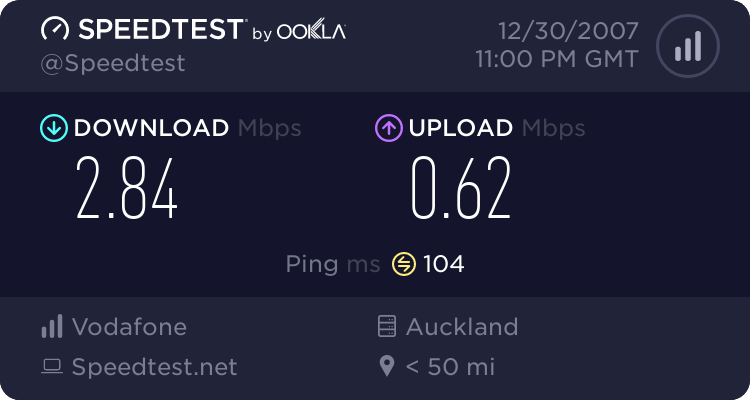 speedtest.xport.co.nz is "on net", and was compared to speedtest.net Auckland "off net". These tests based on long-term trends are generally comparable, but in this case were significantly different. You will note in the second set of tests after the router was reset, the two tests were comparable again, and in line with my router sync speed (approx 3meg). coffeebaron: ... and in line with my router sync speed (approx 3meg). I wish my line speed was anything near my sync speed: 3.7M line speed but 9M to 11M sync speed 3km from the Pakuranga exchange. Was always like that. From Phil's reply it sounds like what I suspected. You get different levels of support. Our company offer 3 levels to service centres depending on which product it is related to. Level 1 is the cervice centre has full circuit diagrams to replece individuel components, level 2 is they have block diagrams and can replace module, and level 3 is they have nothing and can replace only fully assembled chassis. If the required service level is beyond what they are allowed to do, then the job has to be referred back to the factory service centre or R&D. When it comes to software problem, it always gets refered back to R&D and I am well familiar with the debugging processes that Phil was talking about. It is not as simple as changing a few lines of code, because you have no idea what else changed. You can even get compiler bugs where there is nothing wrong with your source code but the compiler itself introduces a fault. So Phil, thanks for your response (as always) and hope we get this sorted soon. why the big difference in upload? will it change if I cancel VFX and both be the same or will my service continue to slowly reduce to nothing and require an reboot? It sounds easy but I don't want to come home as I did after 3 days at christmas and find everything stopped dead in its tracks and noboby in the family new how to fix it. I need a reliable system. Although i haven't noticed the problem for a while, i too would like to thank Phil for the info. Although this issue doesn't matter as much to me as it seems to others, I'm glad to hear its still being worked on.